In his first press conference since taking office in April, Ethiopia’s new prime minister Abiy Ahmed promised to continue with his dramatic reforms “at any cost” as he promised the nation’s public a “free and fair election” in 2020. This gives the PM little more than a year to convince Ethiopia’s divided voting population that the country’s longtime ruling coalition deserves another chance at staying in power. This would mark a dramatic turnaround considering the wave of violent anti-government protests sweeping the nation prior to Abiy’s appointment. Despite the tough task ahead, the Ethiopian prime minister promises the 2020 election won’t be delayed and has vowed to step aside if the ruling coalition he represents loses. “My dream is that doubts about the ballot box will disappear,” Abiy told reporters last week. For many of those who demonstrated against the government over the past three years, not to mention the political prisoners detained by security forces during the same period, this is precisely what they have been fighting for – a free and fair democracy where people are allowed to voice their political views. 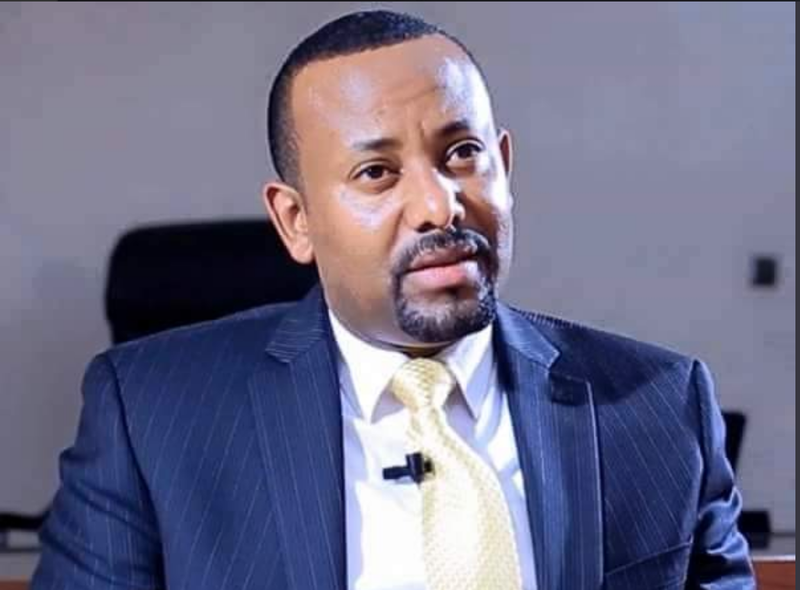 If Abiy stays good to his word and oversees a credible election in 2020, those who rallied against the government will have reason to celebrate some kind of victory, However, if Abiy can convince voters that he and the ruling Ethiopian People’s Revolutionary Democratic Front (EPRDF) coalition is the best answer for Ethiopia, it will be the first time the party has seized the opportunity by merit rather instead of relying on force. Abiy Ahmed came into power with Ethiopia at crisis point, in the midst of another state of emergency and his predecessor admitting failure at ending widespread anti-government protests. The harder the ruling coalition tightened its grip on civil freedoms, the stronger dissent was becoming, even as it simmered under government crackdowns. The country’s new PM promised sweeping reforms as he was sworn into office and vowed to address the issues at the core of Ethiopia’s political crisis. Words were never going to be enough to heal the wounds of the past few years but Abiy has been quick to put his pledges into action. Thousands of political prisoners have been released since Abiy came to power and he publicly criticised the conduct security forces during the unrest before he took office. Once again, his comments weren’t simply part of some PR move to cover over the cracks; he promptly ended the country’s state of emergency ahead of schedule and reshuffled the security sector. What we haven’t seen yet is any kind of retrospective investigation into the conduct of security officials before Abiy’s tenure but his government does appear to be routing out existing human rights violations – as we’ve seen with the recent arrest of Abdi Mohammed Omar, former president of Ethiopia’s Somali region. Of course, it’s not only domestic issues Abiy is attempting to resolve. Most of the headlines discussing his tenure so far have revolved around the recent peace efforts with bitter rival Eritrea, one of the strongest signs so far that Abiy is pushing for genuine change despite resistance from within his own coalition. While his move to open up Ethiopia’s state-run economy by privatising businesses and inviting investors into the country hints of a government that realises it can no longer control every facet of life in the country. More importantly, for those who felt their freedoms and human rights were being trampled on by the government, the promise of free and fair elections in 2020 could mark a genuine breakthrough for Ethiopian politics. A new age for Ethiopian politics? Abiy’s impact during his short time as Ethiopian prime minister has been remarkable and he’s come through with enough of his promises to earn the benefit of the doubt with his 2020 election claims. There are plenty of challenges remaining for the PM, of course – not least the sporadic ethnic violence still taking place in the eastern part of the country. However, his biggest challenge is going to be completing his campaign of reforms while proving to Ethiopians his ruling coalition should continue running the country. Abiy’s early impact has earned him the reputation of a saviour and his popularity in the country can’t be questioned at this stage. This is the ruling coalition’s biggest asset in any “free and fair” election – the fact people will be voting for Abiy Ahmed and his reformed coalition, not the government that many have so bitterly opposed in recent years.